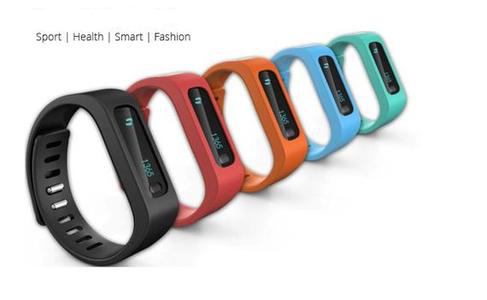 Using the latest Bluetooth Low Energy (BLE) technology, combined with intelligent mobile APP and high sensitive Sensors, it's not a stylish bracelet only, is also your intelligent sports management and healthcare assistant! Health and sports management; Sport Record: Movement distance, port time and speed etc. ; Sport date graph analysys; Calorie calculation; Remote sports management; Sharing etc. 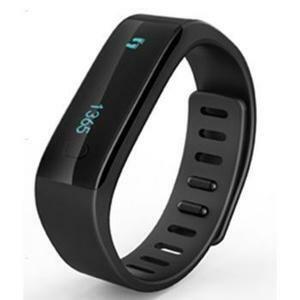 It tracks all the details about your daily activity that conventional pedometers would miss. When worn close to the body, this device tracks daily steps, number of stairs climbed, distance traveled, calories burned, and overall intensity of the activity level. Just check your stats right on your phone. To help you gauge your progress, it syncs your info to select Bluetooth 4.0 devices, without plugging in or pushing buttons. It also syncs with select Android devices (Samsung Galaxy S III, Note II, and more), as well iOS devices (iPhone 5, 4S, iPad 3rd gen., iPad Mini, and more) and PCs and Macs. You do not need to take time out of your busy day to enter stats. After that, your stats will sync automatically, giving you real-time access to all that outstanding data on your dashboard. The dashboard of it is full of graphs, charts, and tools designed to help you track your progress and understand your health and fitness. The customizable dashboard and mobile app (both free) bring all that digestible data to your fingertips. Knowing how close you are to reaching your goals gives you added incentive to achieve them and aim higher.